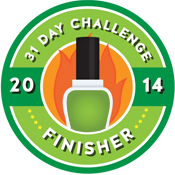 I've survived the first week of the 31 Day Challenge! Not only survived - loved it! 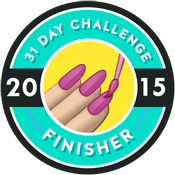 It's already seen me try new things, recreate an old mani, and use two untrieds. Sure it's hard removing and starting fresh every day, but I'm definitely finding more pros than cons. I've wanted to do these for SO LONG. 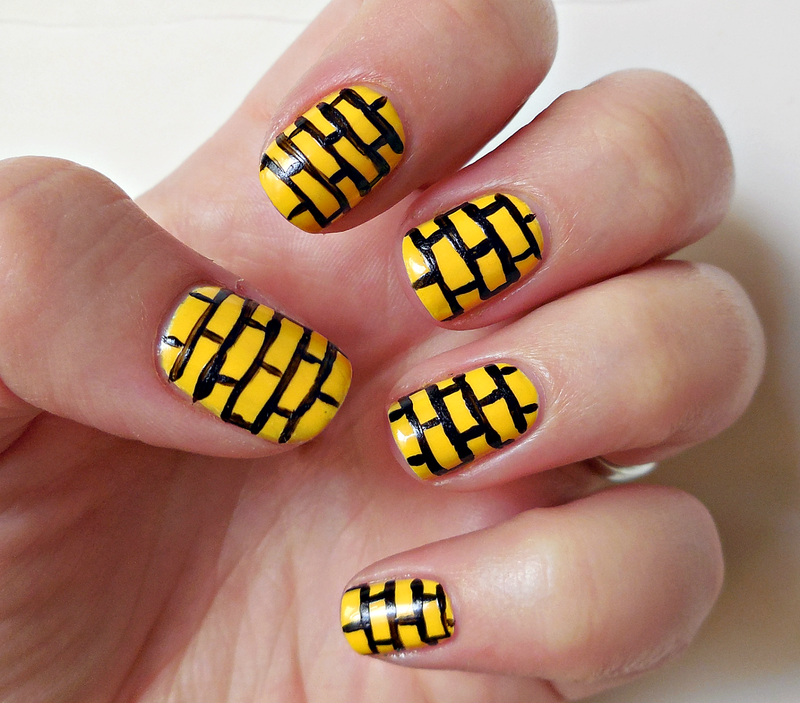 It was kinda hard with all my nails being different widths and shapes but they're recognisable enough. I was very sad having to take these off. I have a bunch of great indie oranges so I knew I wouldn't need to be too nail arty for this day. My choice was easy as I'd been busting to use Haddonfield from Pretty Serious again. 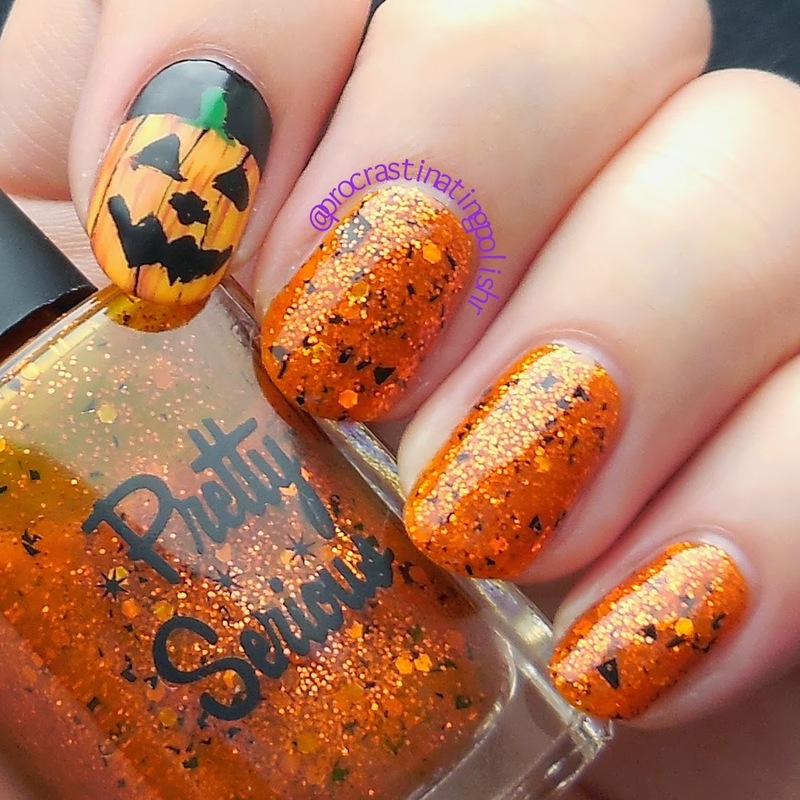 I love horror movies, therefore love this polish (for the horror-averse, it's inspired by the original Halloween film ). If I had better skills I'd have done a Michael Myers mask accent nail, but settled for a cartoony pumpkin which I was super happy with. 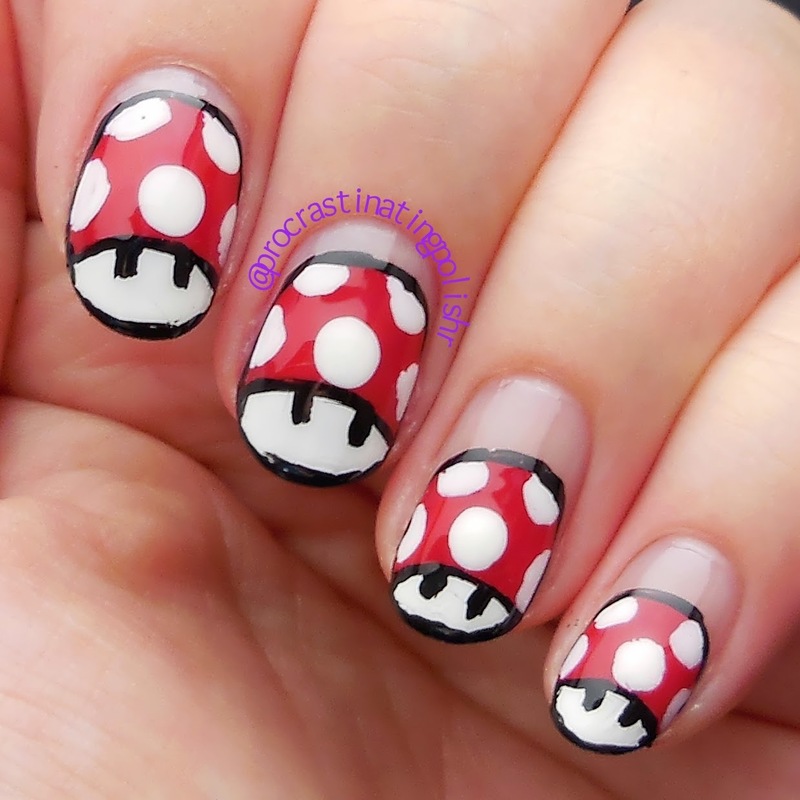 You guys, these looked way better in real life. I cursed my setup and photography skills on this day! I did a solid yellow base then did the cling wrap method with a browny-gold over the top to give it some texture before adding the lines. It looked so good! 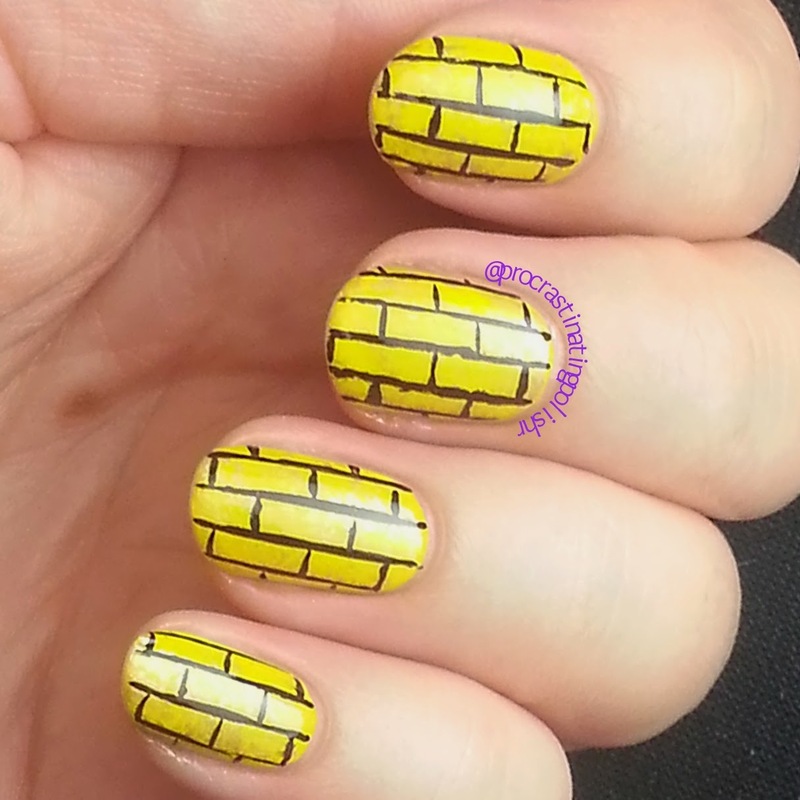 These are a recreation of one of my first freehand stripe nail art attempts just over a year ago - I think I've improved a bit, yeah? 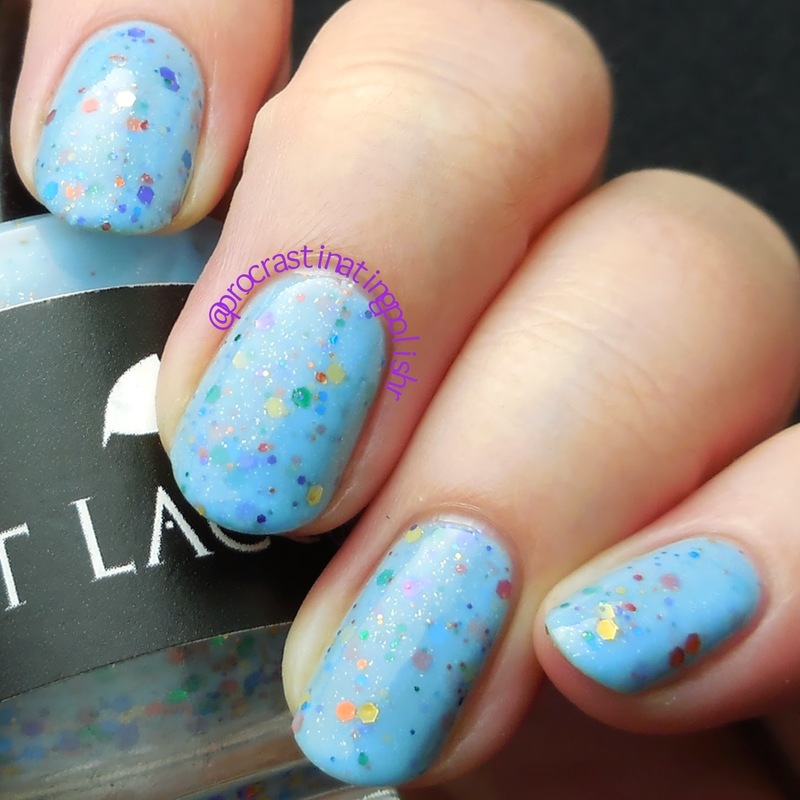 Kept it simple with a swatch of an untried because I was honestly just dying to try this polish. I got my first Black Cat Lacquers in the mail a couple of weeks ago and I couldn't leave them languishing in the untried pile for too long. 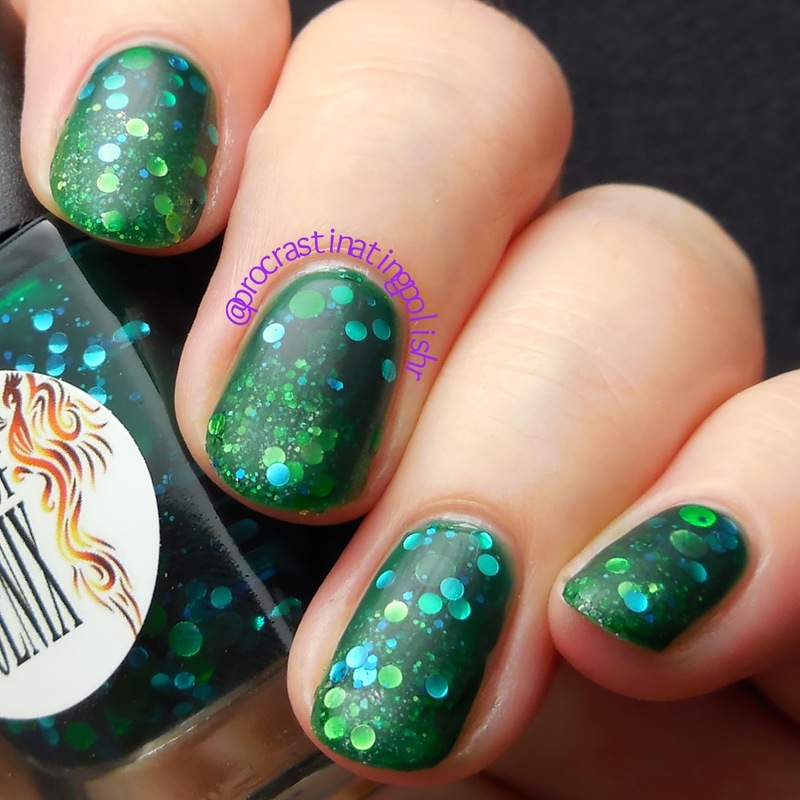 Pretty in love with this polish - look at that glass fleck where the light hits. Beautiful. 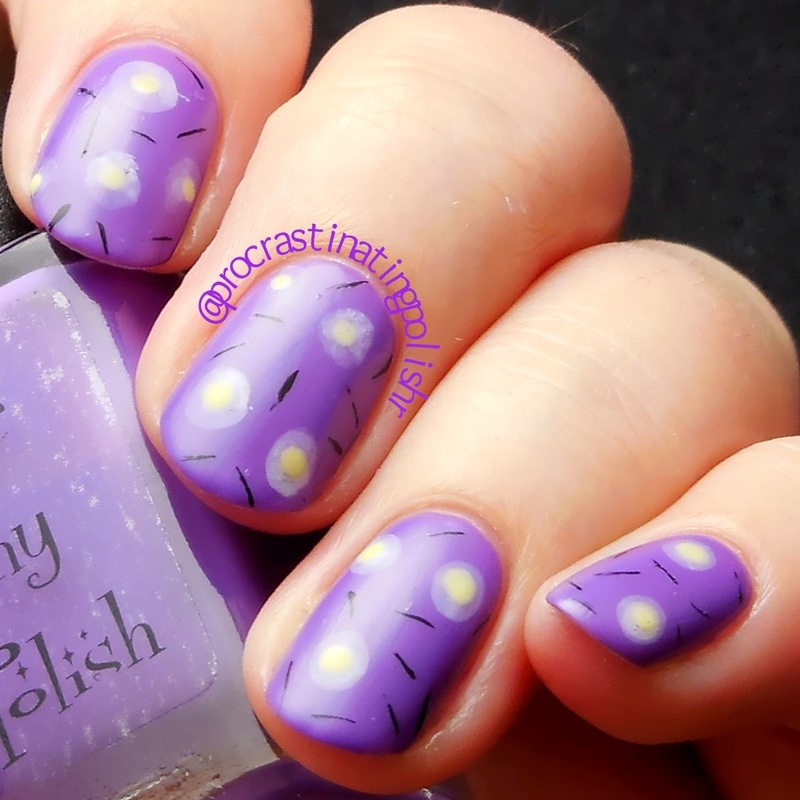 Using my third untried for the week, Love thy Polish Miss Priss served as the base for my violet nail art. Originally I was just going to have the dots to mimic the centre of a violet but they looked a bit fried egg so I added in the black detail and took the deconstructed violet even further. I still see fried eggs but as a whole I liked this mani. Bonus points for being quick and easy. 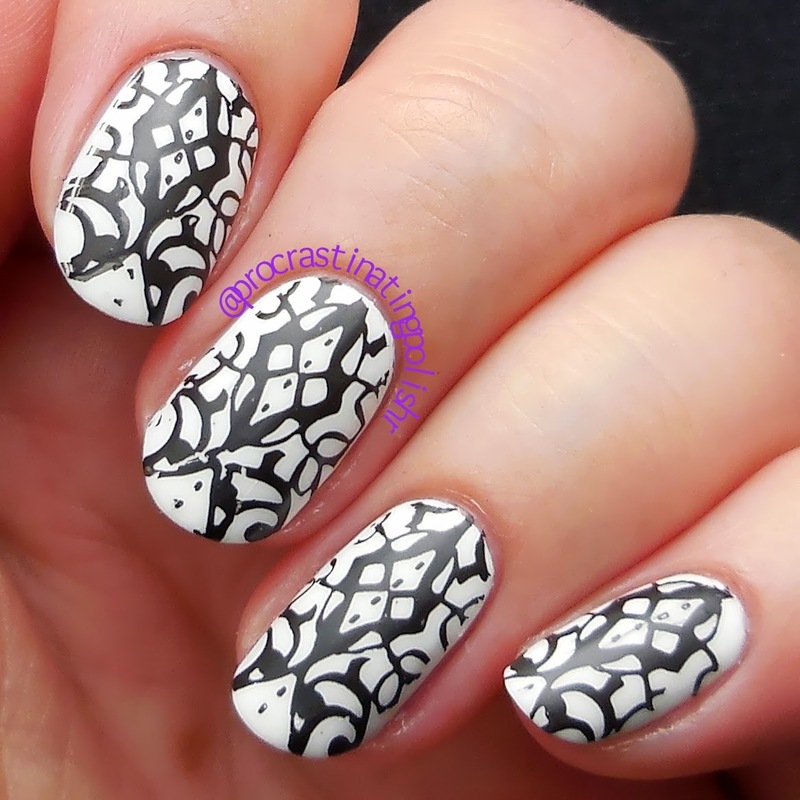 I knew black & white would mean stamping and it was the perfect opportunity to use my new Emily de Molly plate EDM09. It's a super cool plate with really kaleidoscopic designs and I am absolutely going to try leadlighting with it one day. I liked this simple look, it feels like a bit of a palette cleanser. 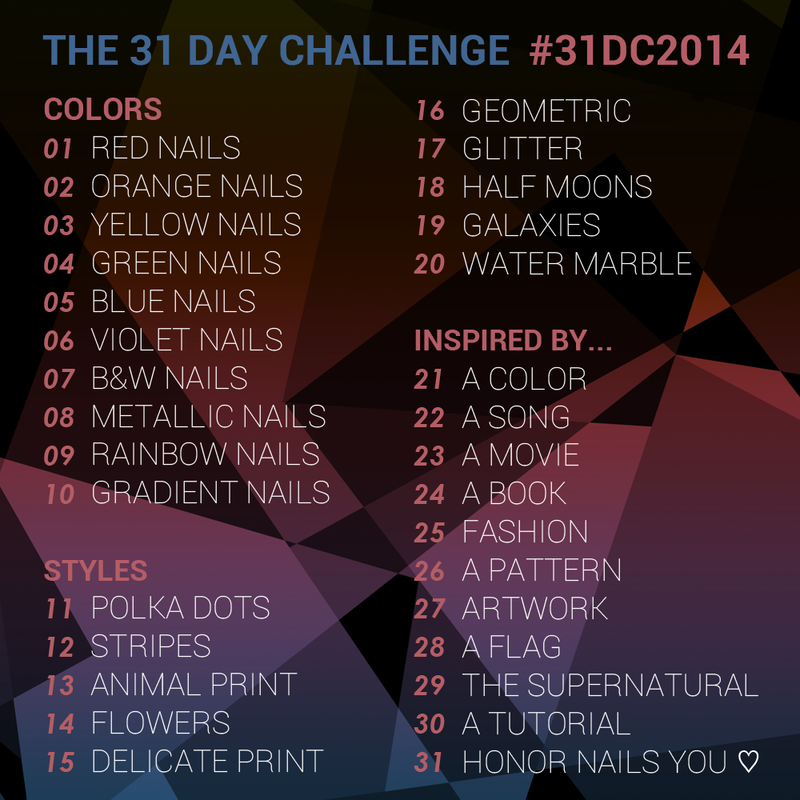 So that's almost all the colour prompts over! All the specific colour prompts are done, tomorrow continnues with metallic and in a few days we move on to specific styles. Are you participating? Link me in the comments, I love seeing what everyone else is doing!